Learn to introduce yourself and handle common daily situations in French! The goal is to make you comfortable with every-day interactions as soon s possible, with a focus on conversation. Basic pronunciation followed by idioms and easy verb conjugations. Experienced Instructor, Owen Page, who grew up in Brittany, France. 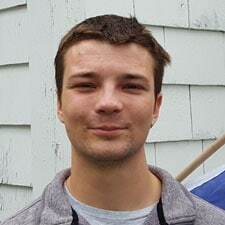 After studying engineering in Montreal, Owen came to Maine to dive into wooden boat-building and sailing. He is excited to share his love of the French language and culture at all levels!